Since its second season in 2006, Dancing with the Stars has aired two seasons every calendar year. But there won't be two in 2019. 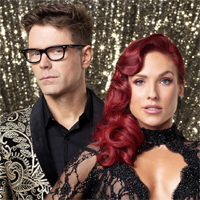 Following a 2018 that saw an abbreviated four-week spring all-athletes edition and the controversial fall Season 27 winner Bobby Bones, ABC has decided to skip a spring 2019 edition. "Though it’s not yet clear what prompted the competition series to sit out a midseason run, Dancing is coming off a controversial 27th season," reports TVLine's Rebecca Iannucci . "After multiple well-scored frontrunners were eliminated prematurely (including R&B singer Tinashe and Fuller House actor Juan Pablo Di Pace), the Mirrorball was ultimately awarded to country radio DJ — and very dark horse — Bobby Bones, who had scored much lower than his three fellow finalists." She adds there's no word on the future of Dancing with the Stars: Juniors, which aired simultaneously with Season 27.